We have had a busy week final week of term 3 which has included time to talk about internet safety and ways we can use it but also stay safe. 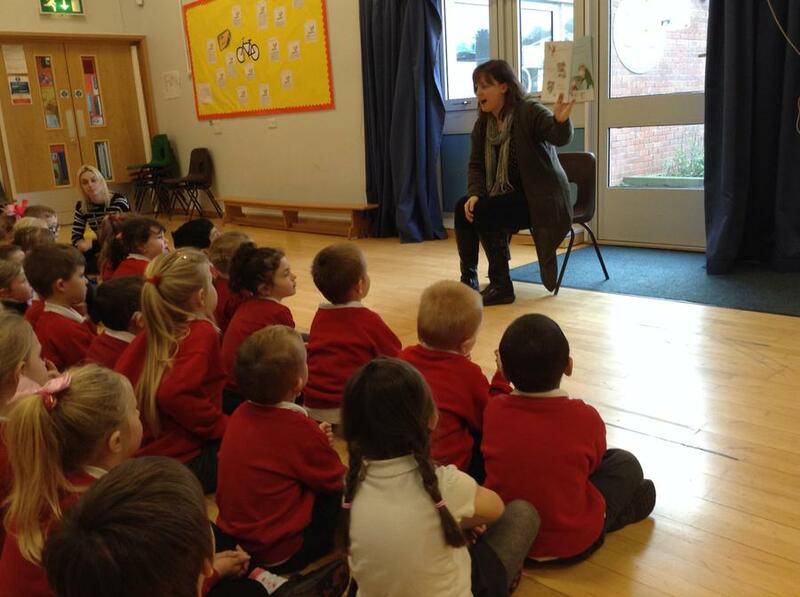 The children discussed what they already used the internet to do and we all agreed that one of the main things the children could do was to tell an adult if they saw something that they didn't think was right, rather than just delete it, so that it could be stopped. 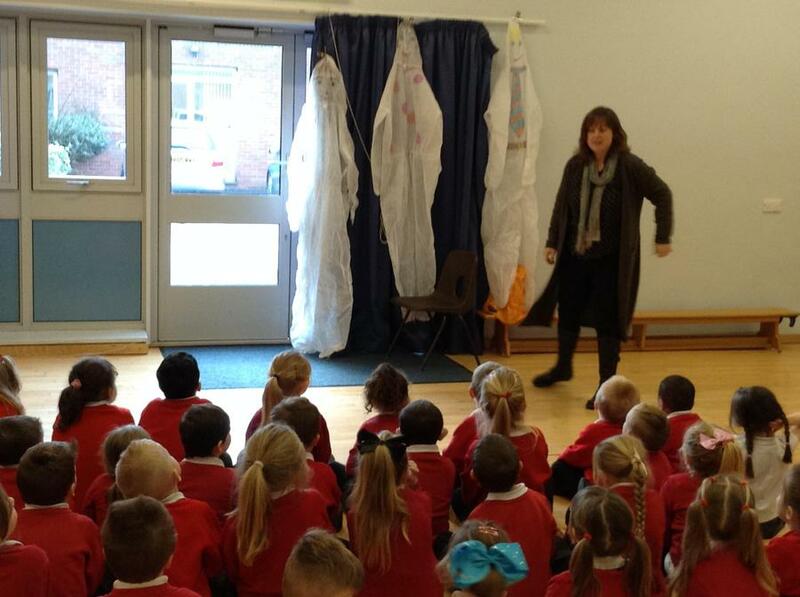 The children had some interesting debates about what they should and shouldn't do with the internet and confidently shared their ideas. 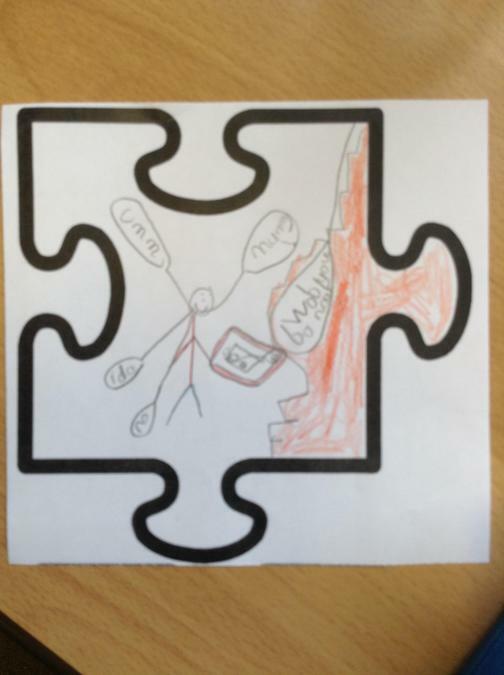 The children then designed their own picture to create their own reminder how to use the internet safely, that could be linked together to give lots of internet safety top tips to stay safe in one big jigsaw. 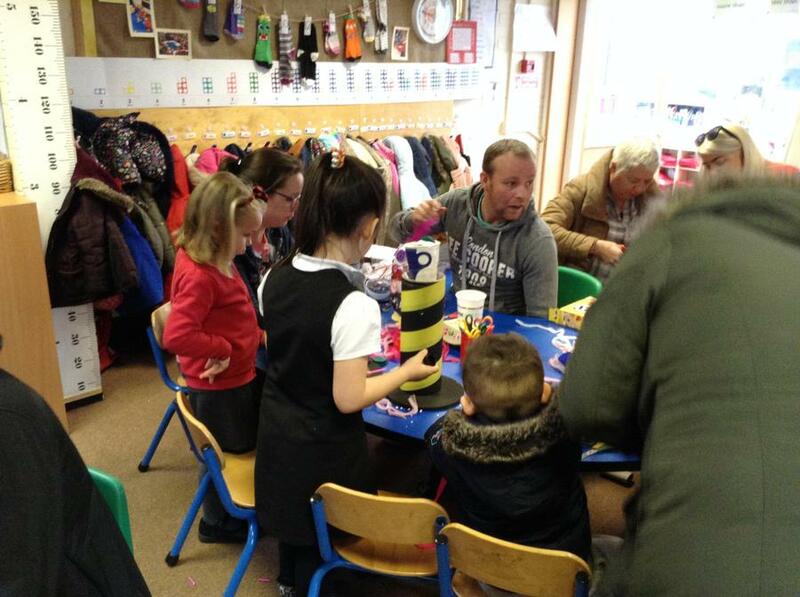 Our Enquiry challenge for the term was completed this week with an afternoon that family and friends were invited into the classroom to help make their own 'junk model puppets'. 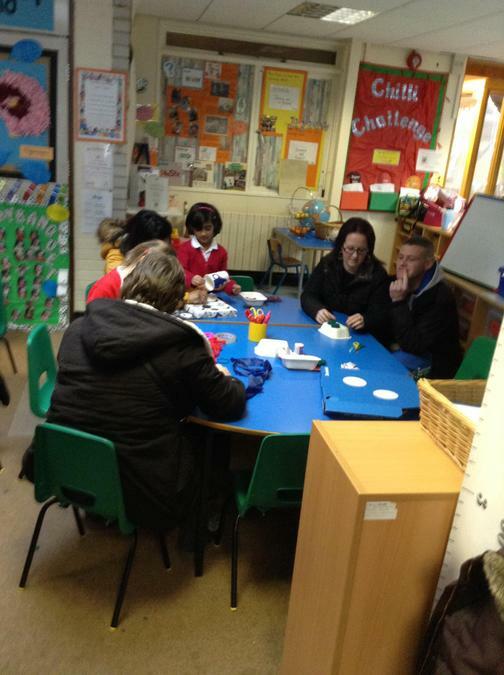 The classroom was really busy with everyone on task talking about the children's learning and sharing ideas to find resources and make puppets. 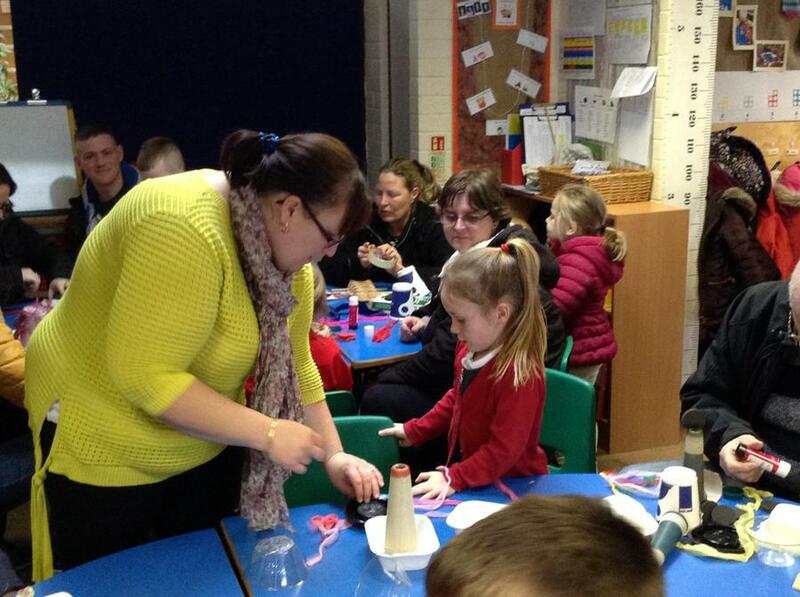 Thank you to everyone who was able to come - the children were so excited to share their learning and work together. 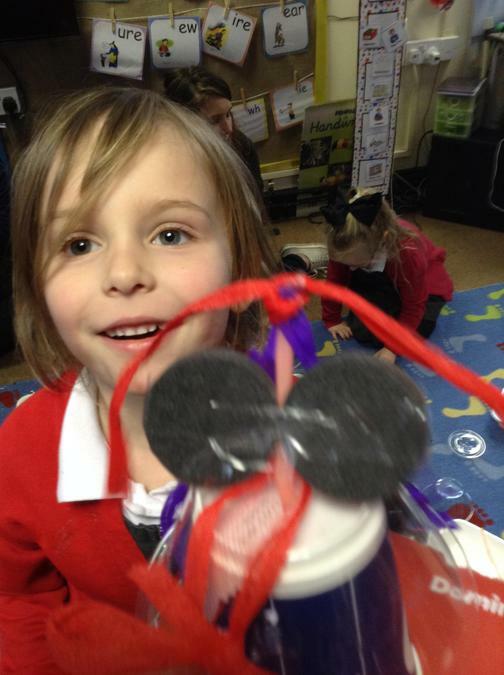 The puppets created in the workshop were then the inspiration for the children to plan and write out their own independent stories about the adventures their puppets went on. 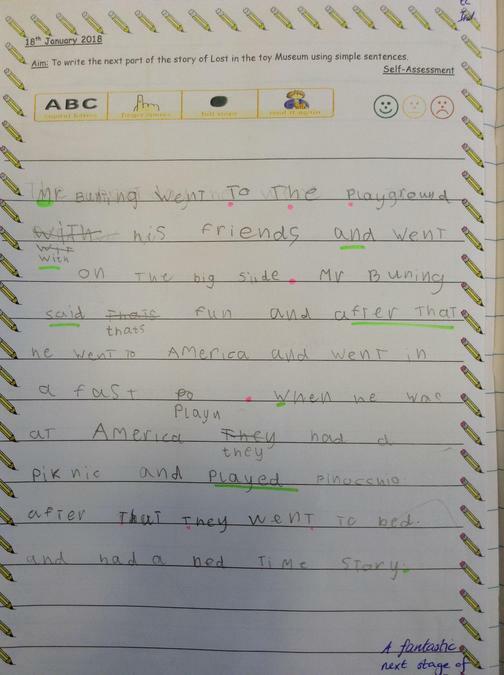 They took a day to story board their ideas and writing a short sentence about each scene, before writing out their whole stories by applying all their literacy knowledge using phonics and tricky words to create short, complete sentences with growing detail and ideas. 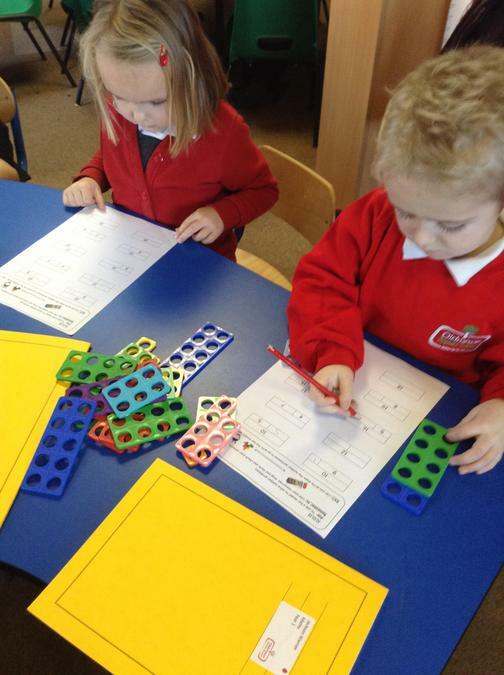 In Maths the children had great fun with practical activities exploring pattern and shape and used their number knowledge to help solve maths problems. 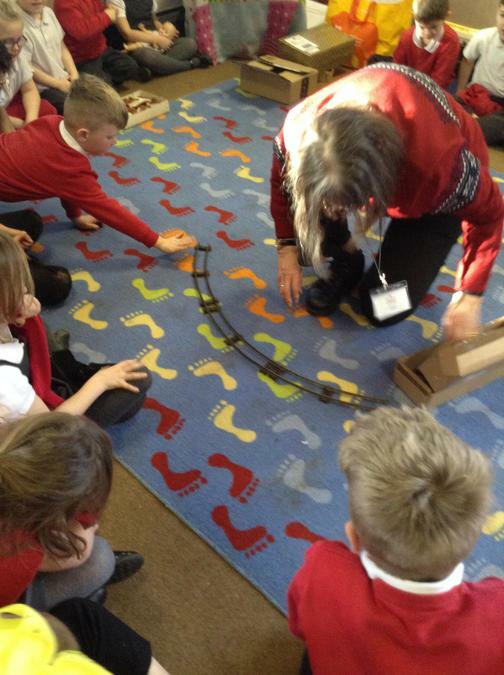 This week the whole class went on a trip to Weston Museum. 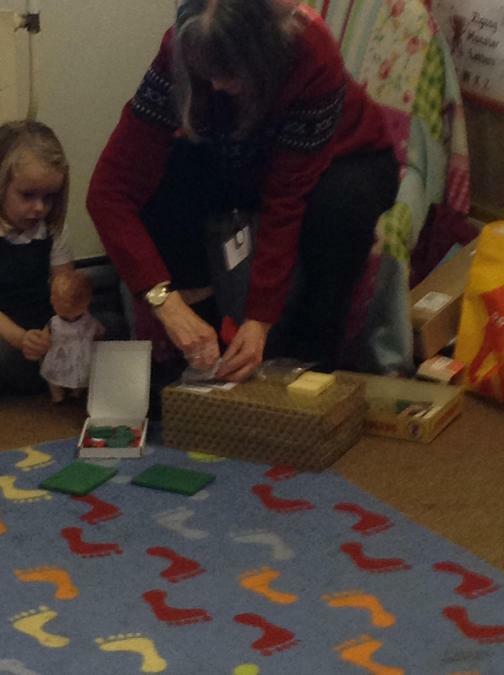 We had a fantastic time exploring all the objects on display there and the children were really well behaved. They asked some fantastic questions and used their enquiry skills to think about what they were looking at and how it was used. 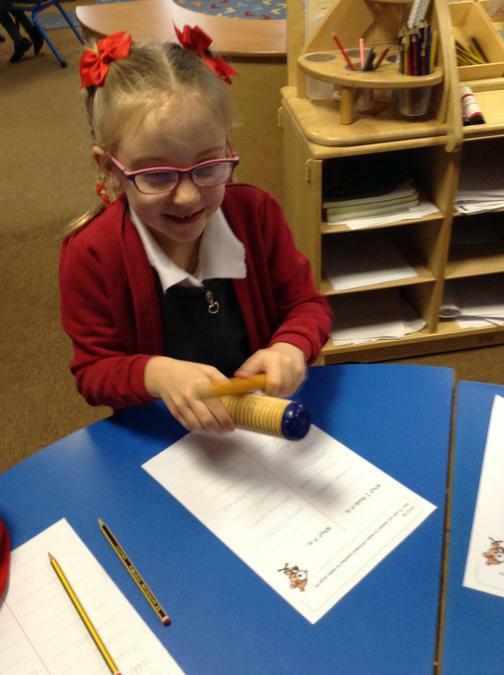 In English we have been writing a recount about the trip to the Museum. 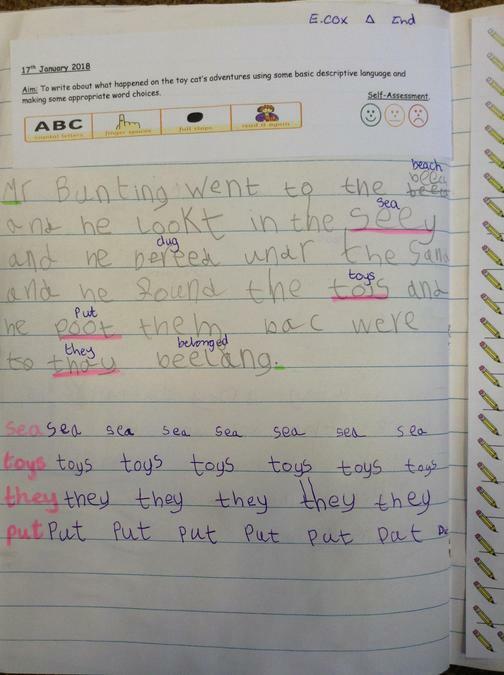 We used words to show write about the sequence that we did for the visit, using the words like; next, then, after that and used description to give further detail about what we did and saw. 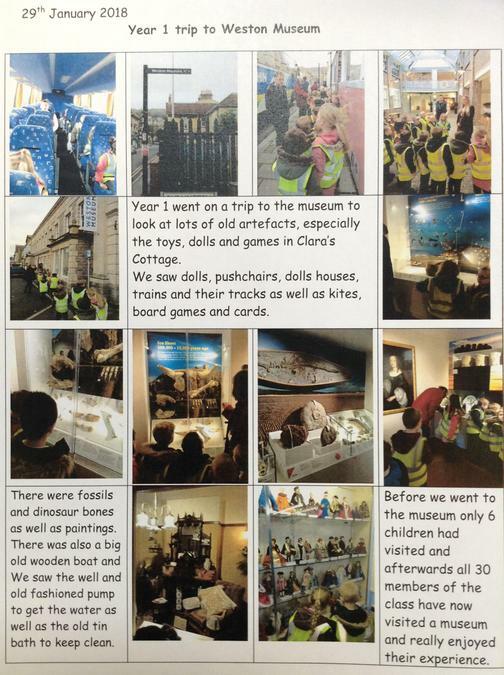 We also had a challenge to write a leaflet all about the museum and what could be seen there and the best parts to go and see. 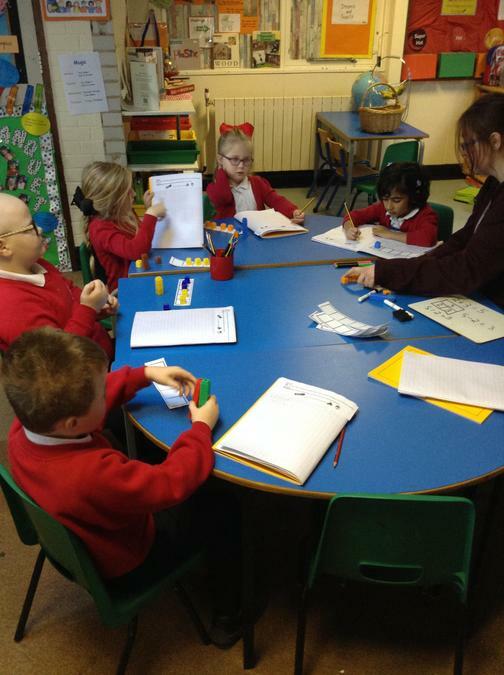 In Maths the week we have been exploring our knowledge about shape and learning even more mathematical words to describe 2d and 3d shapes. 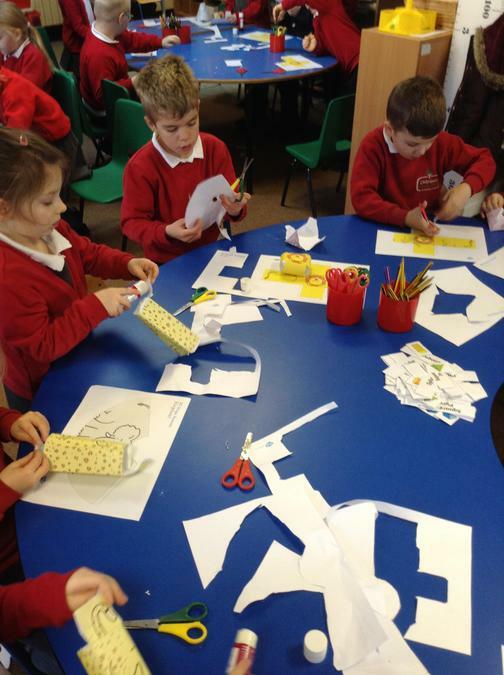 We have looked at 2d shapes and how they can become the faces of 3d shapes and really enjoyed practising our scissor skills by cutting out nets for 3d shapes and then folded them into the 3d shapes to dicuss and compare to other 3d shapes using mathematical language. Eating healthy gives it the nutrience it needs. 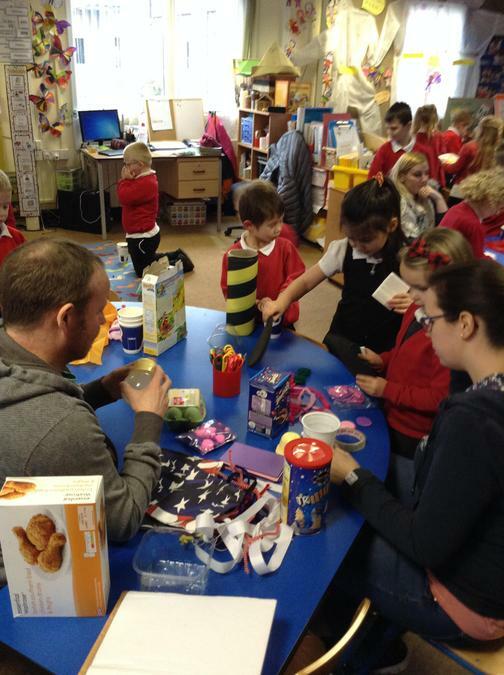 Brain breaks help to focus. If our brain starts to get worried or confused, we can breathe deeply to help calm us down. 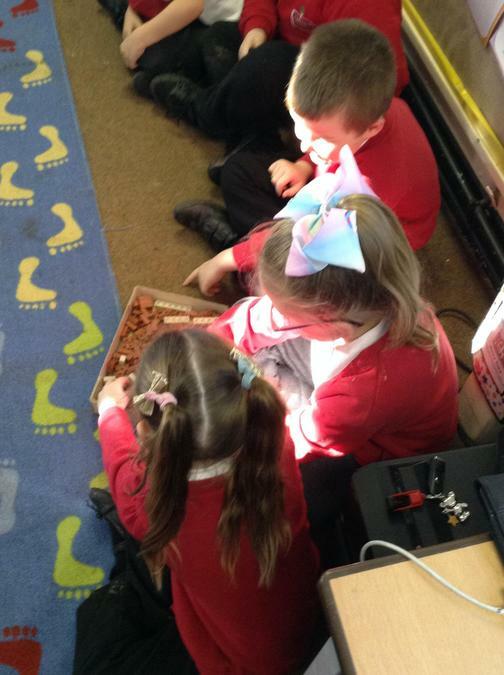 We then looked at ways we can help to change how we think and react to stress - the children practised their deep breathing and then they listened to the story about the hungary caterpillar and how it changed into a beautiful butterfly. 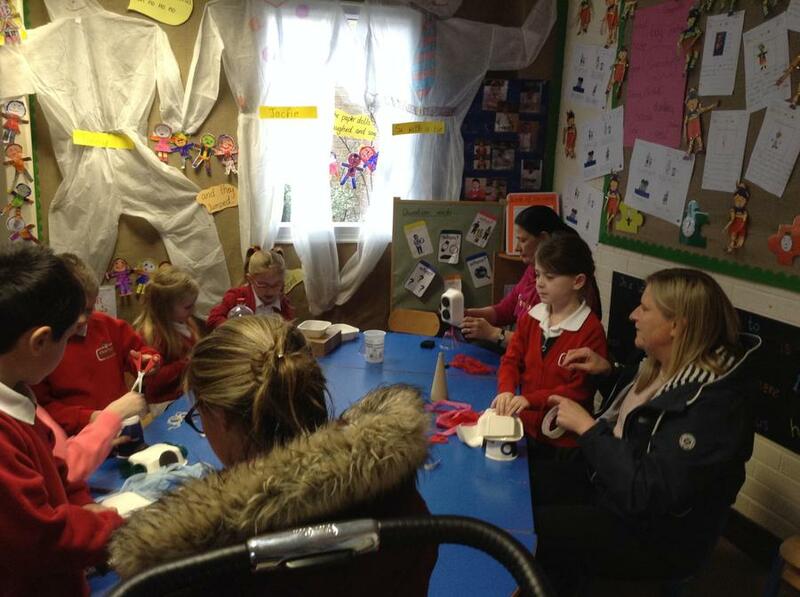 WE talked about how we can help to cahnge the way we react to stress; breathing, focussing upon the task in hand and to also talk to another person if we had things that we kept worrying about. 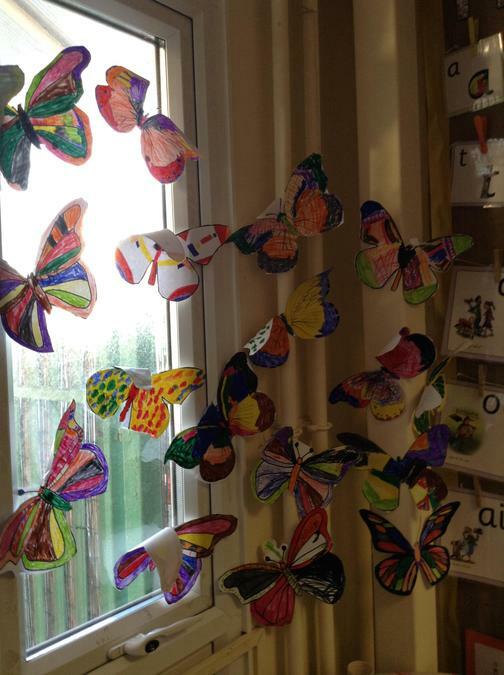 Then the children carefully coloured in their own butterflies whist listening to calming music. They look fantastic up on our wall and are a reminder for everyone about ways to help keep us calm when needed. 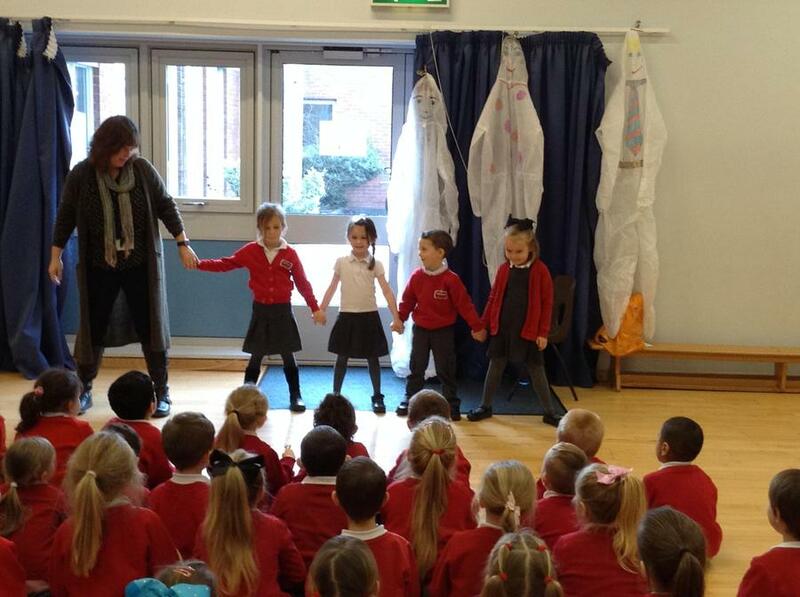 On Friday, we all celebrated the NSPCC Number Day. 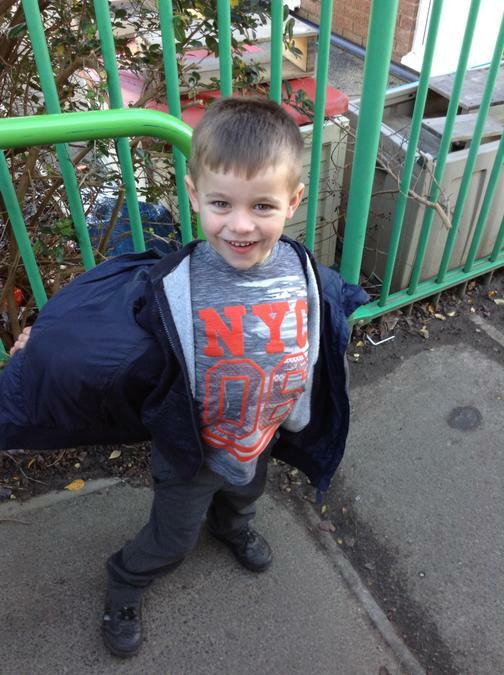 The children looked fantastic in their array of numbers that they wore and the varying ways that the numbers were worn. 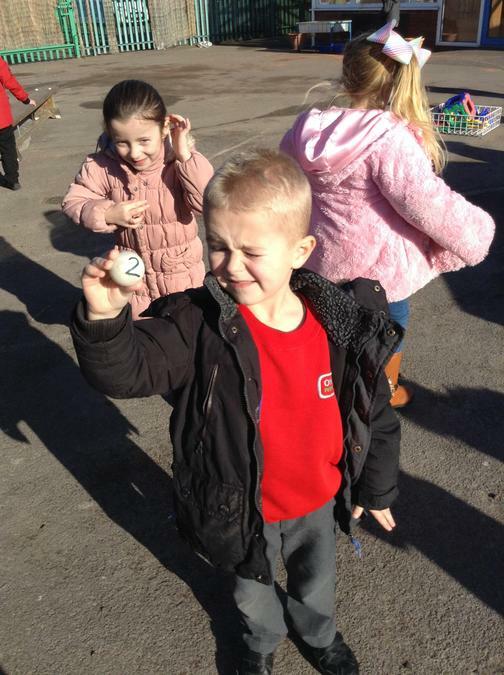 There were iced number biscuits to make and the children went on a number hunt to look for digit in our environment. 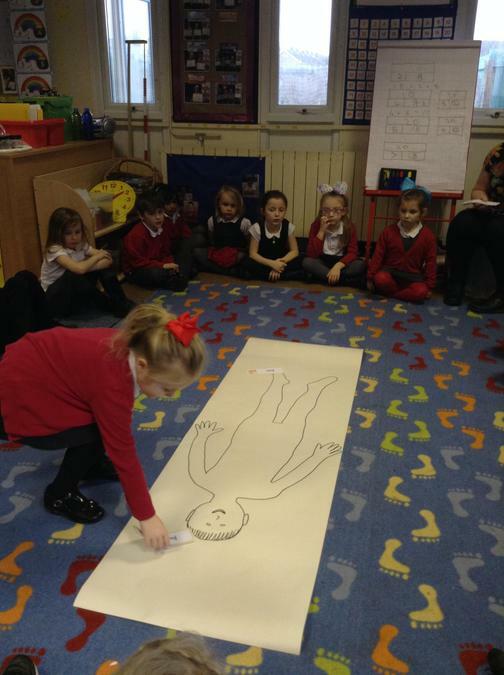 For our English work this week we have started looking at our new story ‘The Paper Dolls.’ For our first lesson we went to the sports hall with reception to hear the story and met some paper dolls. 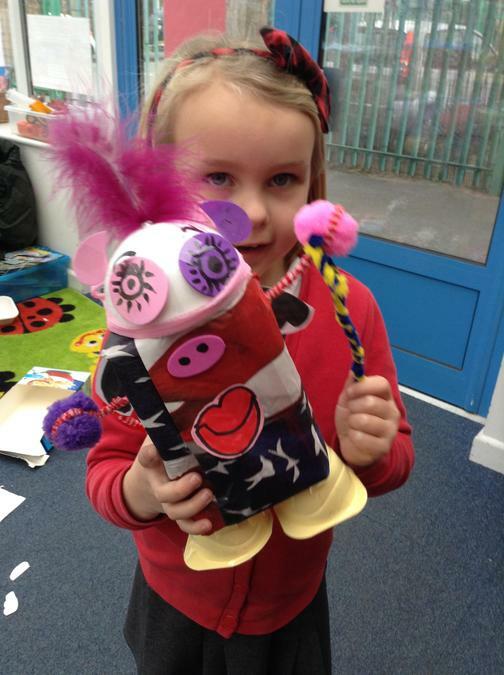 We have designed our own dolls and wrote descriptions about them. In the story the paper dolls go on a bus. 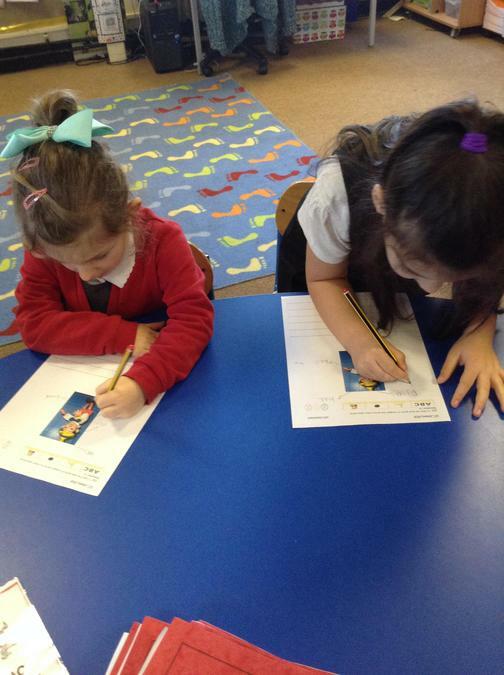 We thought about the adventures they would be able to go on if they had a plane or a boat and then wrote about them. 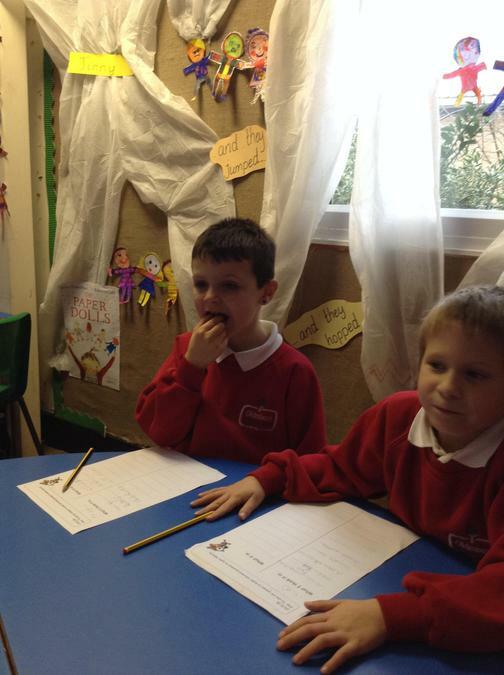 For our Science work we have been learning all about our different senses, sight, touch, hearing, taste and smell. 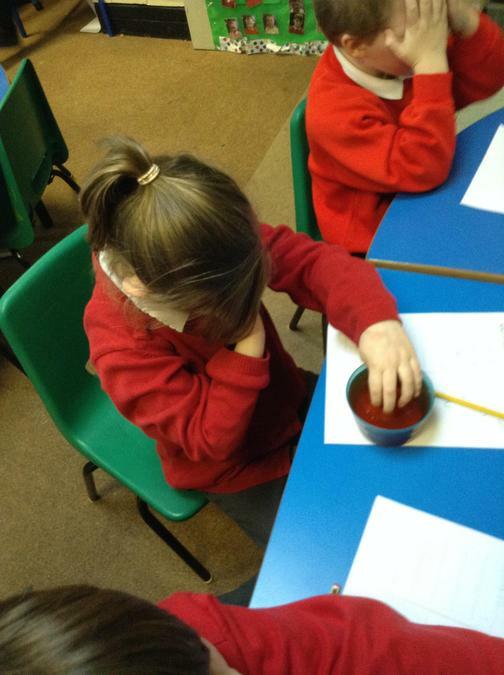 This week we all took part in an activity using these different senses we had things to taste, smell, touch and listen to. 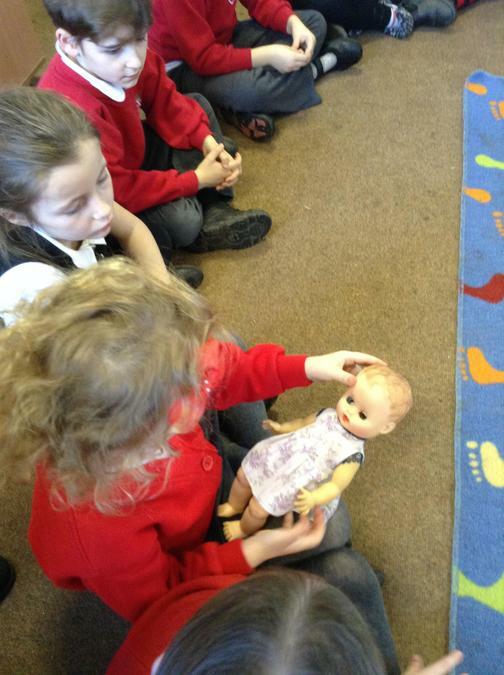 We had to keep our eyes closed and then make a sensible prediction about what it was. 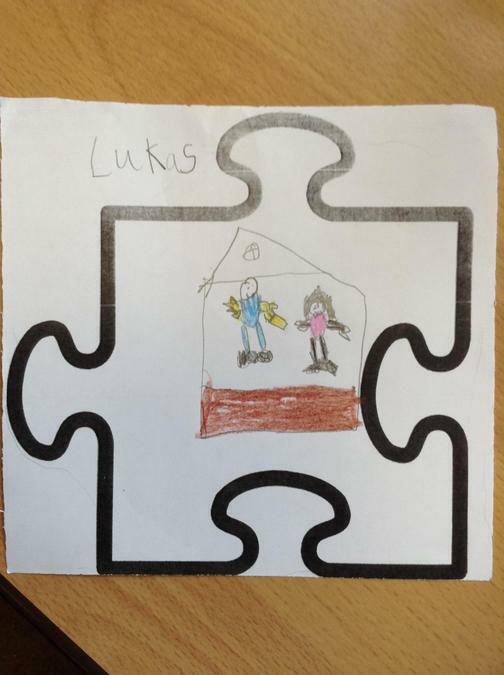 This week in English we have been working on a new book 'Lost in the Toy Museum.' 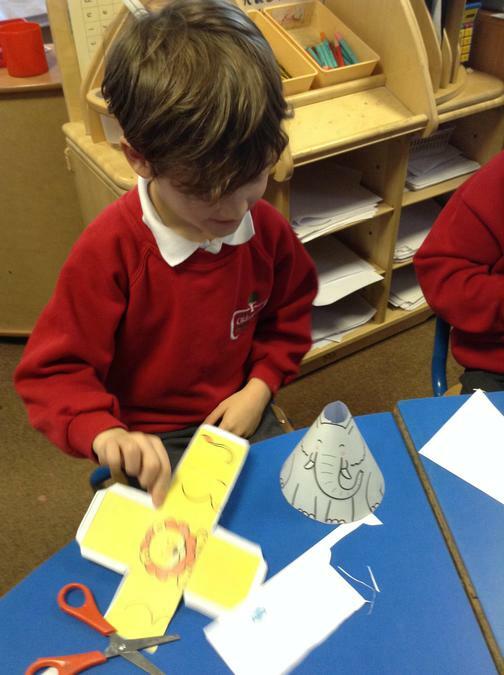 We have written about what we thought might happen to some of the toys in the story and the adventures that they went on. 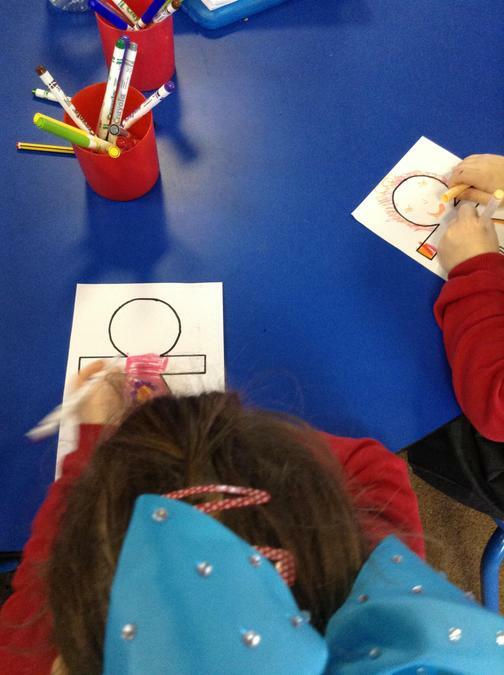 In maths this week we have been working on addition and subtraction. 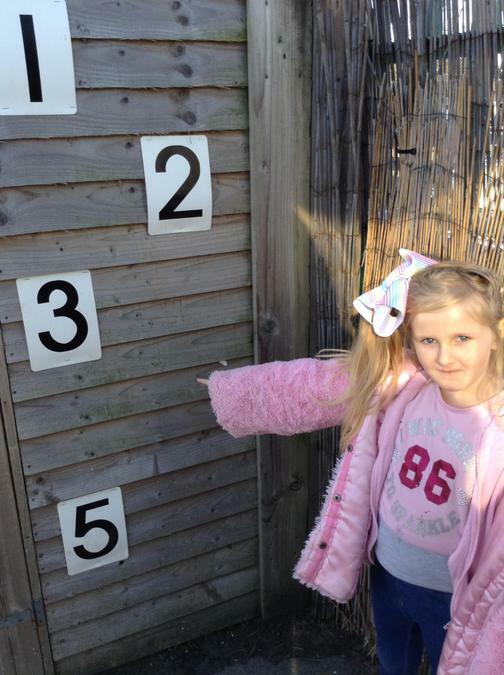 We used a Bar Model to generate our numbers and then worked out the number stories. 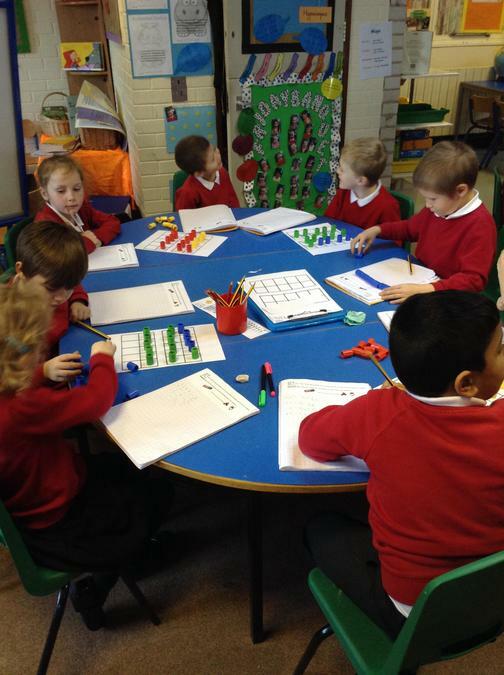 We have also used cubes on 10's frame to work out our number stories. 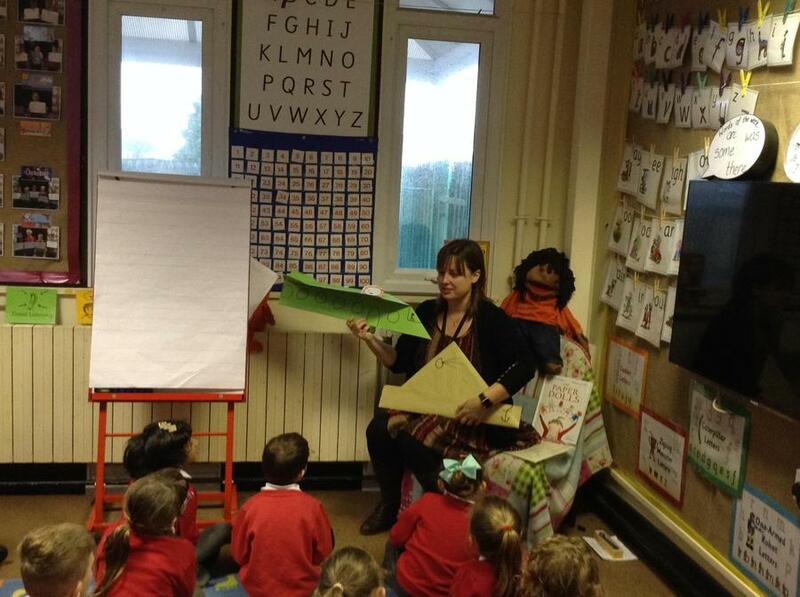 This week in English we have started to look at our new story of Pinocchio. 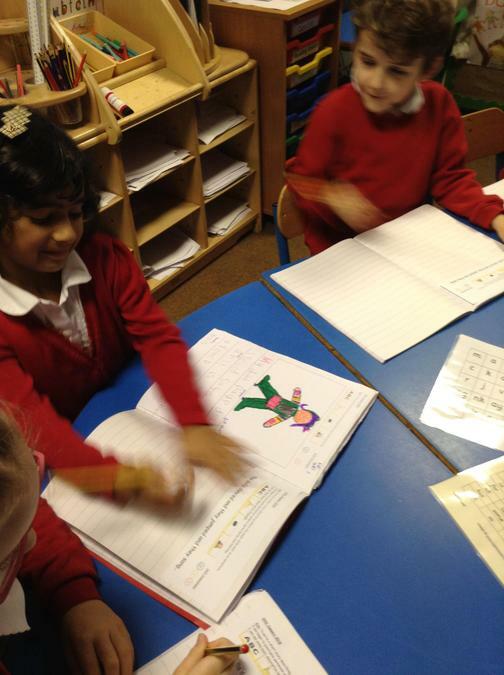 We listened to the story and then made a word bank of words we think will help us with our writing. 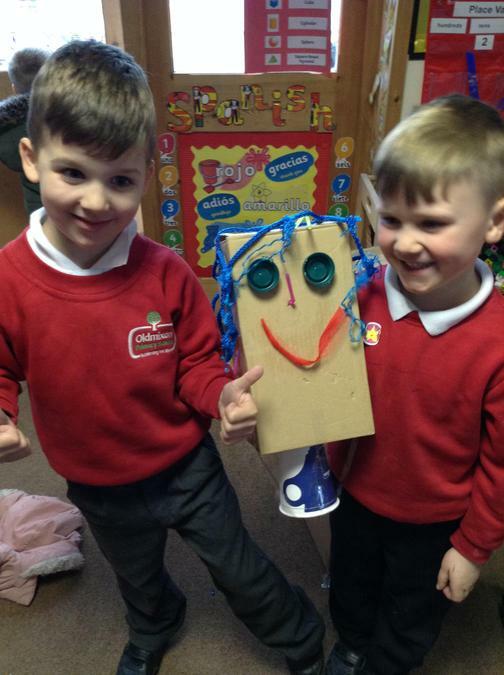 We have also labelled a picture of Pinocchio and wrote description about what he looks like. 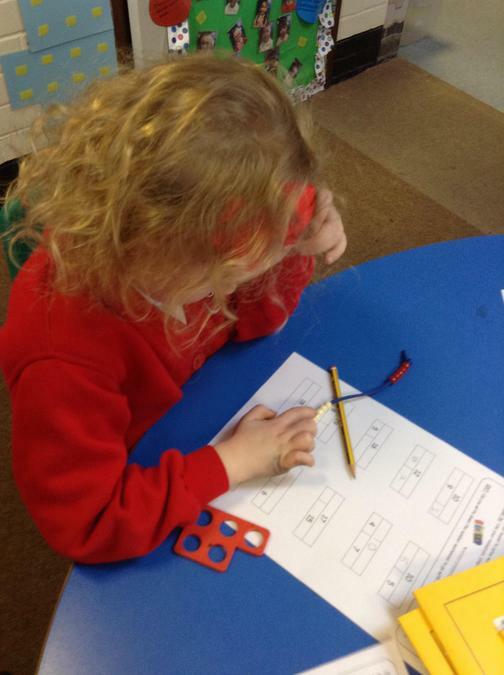 This week for our Maths work we have been working on a Bar Model looking at different pairs of numbers to make 10 and then we have moved onto making 20. 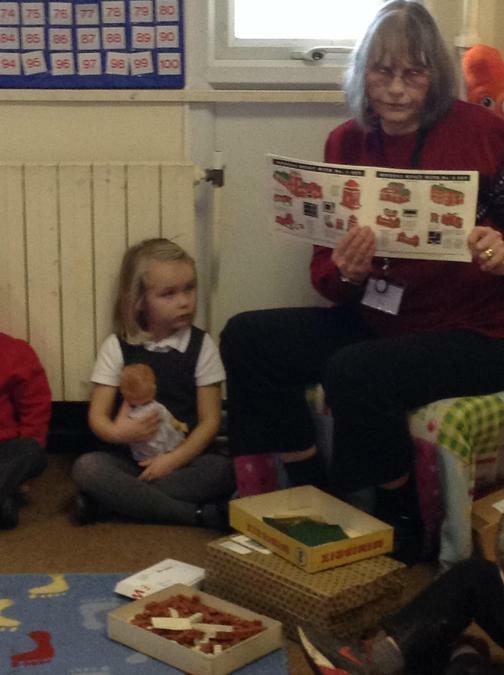 We had a visitor this week Mrs Hewitt came into our class to tell us all about the toys she use to play with when she was younger and she bought some in to show us. 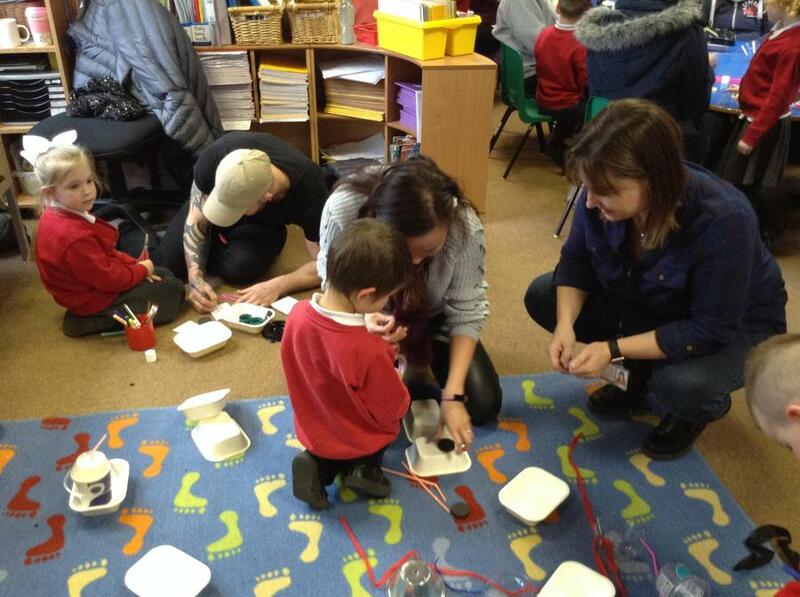 She told us that there was no plastic when she was our age and most toys were made out of metal, wood or rubber. Her dolls were made out of plastic and she had a metal doll's pram. 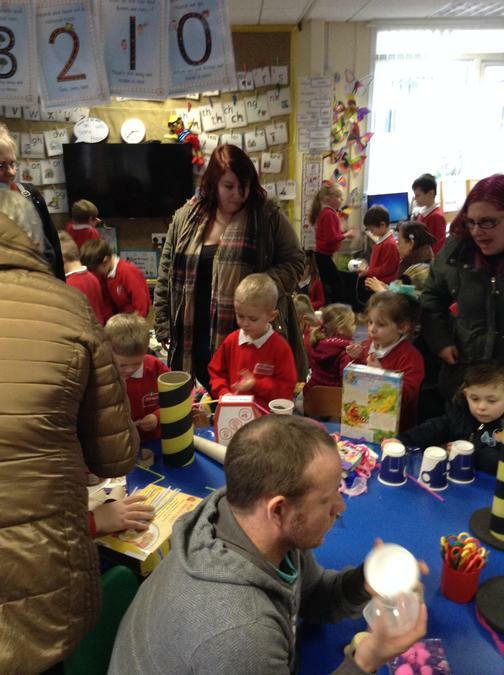 We also looked at some different construction toys called Minibrix and Bayko. There were no small bikes like we have you had a tricycle until you were big enough to ride a big bike. 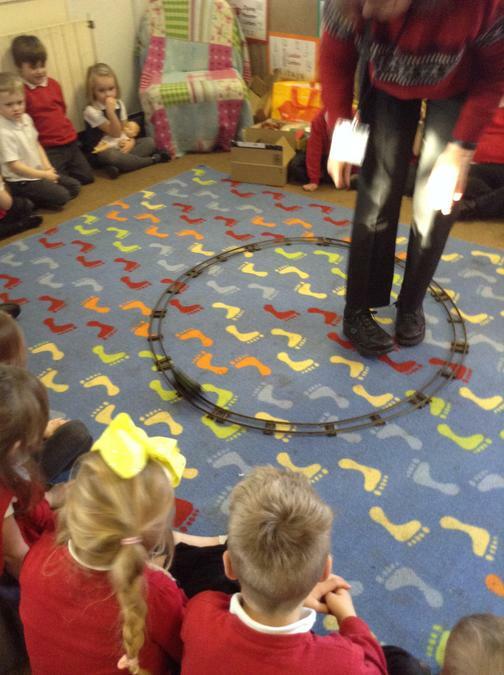 Mrs Hewitt showed us the train and track she had that was made out of metal you had to wind the train up for it to work. 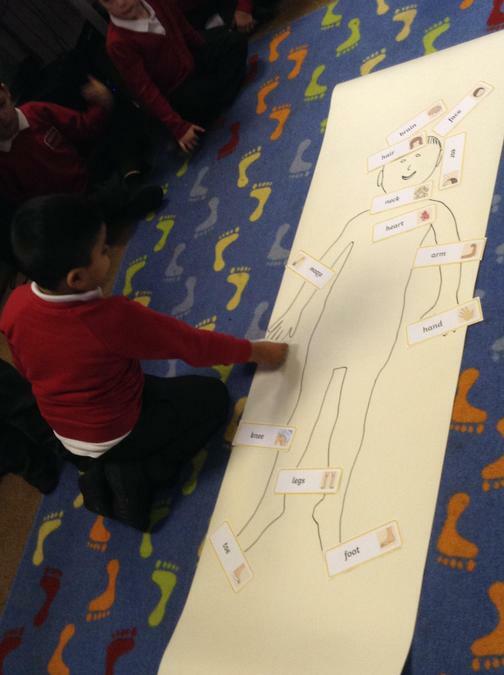 We have started to look at the human body. 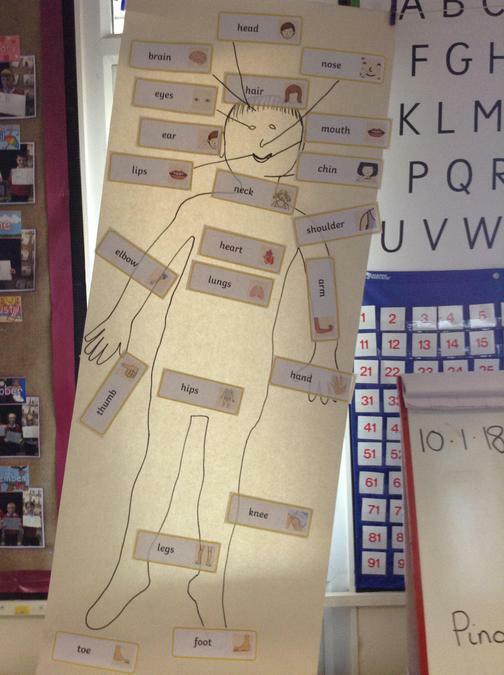 This week we drew around one of our class and worked together to labelled different parts of the body, we then labelled our own.